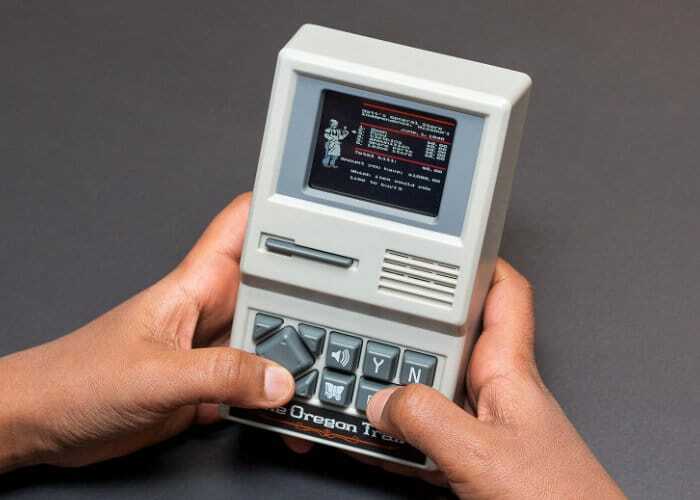 For $25 a new and quite unique handheld game is now available to purchase online from Target called the Oregon Trail. Encased in a retro style enclosure the handheld Oregon Trail game offers a chance to play the hugely successful computer game and a handheld format complete with authentic 80s graphics, sounds and gameplay. The game first launched back in the 1980s on PC teaches players about the realities of 19th-century pioneer life on The Oregon Trail. Choose your profession and your traveling companions, then set out on the trek from Independence, Missouri to Oregon’s Willamette Valley circa 1848. If you’re interested in learning more about the Oregon Trail handheld game jump over to the Verge website via the link below, where the team have carried out a full hands-on review of the unique handheld game.